Hawaiian Moon Facial Youth Serum - For a younger, brighter complexion! 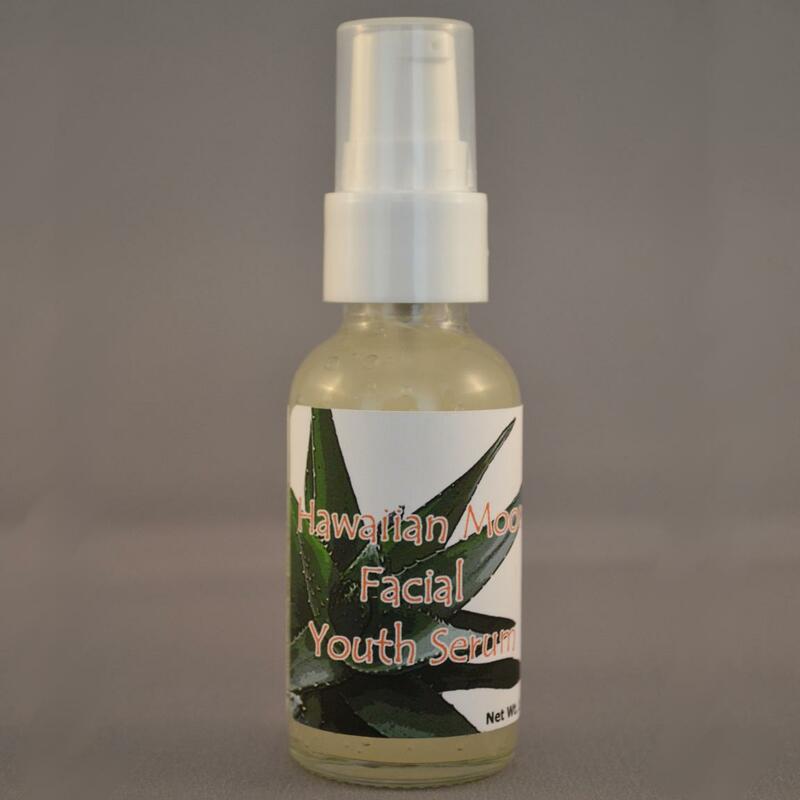 Over fifty percent of our high quality formulation of Hawaiian Moon Facial Youth Serum is made up of Hyaluronic Acid. Why? Hyaluronic can hold up to 1000 times its weight in water and helps to draw moisture out of the environment and onto the surface of your skin. 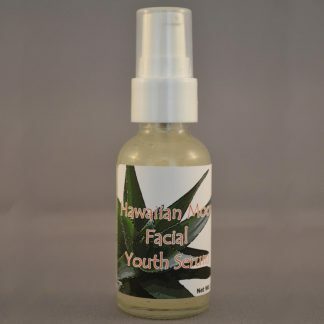 Our concentrated, non-comedogenic formulatuion penetrates deeply and activates collagen production for a fresher, younger, firmer, brighter complexion. 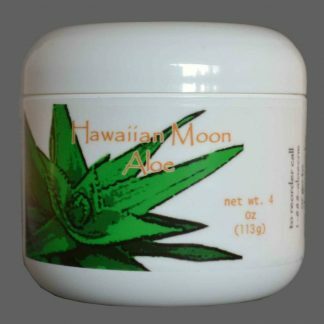 Use it after applying a toner, like our Hawaiian Moon Facial Toner, and watch as your skin improves into a vibrant, brighter complexion! 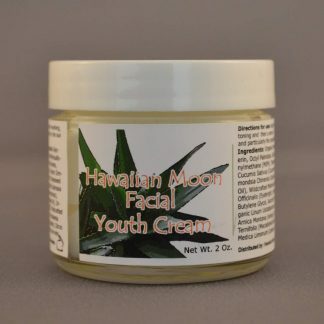 This is a 1oz container of Hawaiian Moon Facial Youth Serum. 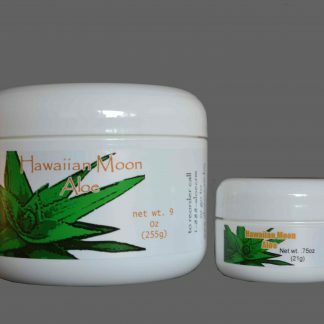 After washing with Hawaiian Moon Facial Cleanser, or your favorite cleanser, and optional skin toner product (like Hawaiian Moon Facial Toner), make sure your skin is dry. Make sure to apply your toner first if you use one. Apply a small amount to the entire face, neck, and decollete and allow to dry. Use daily, if desired.